It’s finals week here at Buffalo State, but there are still things happening on campus. "A Look Ahead" will be taking a hiatus over winter break, and will be back for the spring semester. Tuesday, December 11, 12:30 to 1:30 p.m.
Barnes & Noble at Buffalo State will host a book signing with Thomas J. Reigstad, professor emeritus of English. Reigstad will sign copies of his book Scribblin' for a Livin': Mark Twain's Pivotal Period in Buffalo, expanded edition. Refreshments will be served. Thursday, December 13, 6:00 to 9:00 p.m. The Master of Public Administration project defenses provide students with the opportunity to explain their research to faculty in front of an audience of their peers, program alumni, and the college community in general. Anyone interested to learn about the research MPA students have completed as their final requirement of the academic program are invited to attend. Thursday, December 13, 6:30 p.m.
Ann C. Colley, SUNY Distinguished Professor of English, will be reading from her memoir The Odyssey and Dr. Novak. Friday, December 14, 10:00 a.m. to 10:30 p.m.
Stay Gold is a community art party which celebrates the incredible breadth of talented artists and musicians in Buffalo by featuring site-specific installations throughout the building and music all night. Join the Burchfield Penney for an evening of art, music, and the unexpected! Friday, December 14, 8:00 p.m. 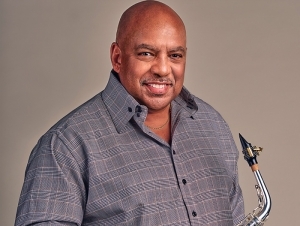 Accomplished saxophonist Gerald Albright (pictured) takes the stage with his daughter, Selina, for an evening of Christmas music. Sit back and enjoy this very special evening and the very first Albright Family Christmas Tour. It will be filled with your favorite songs of the season. The Albrights look forward to celebrating Christmas with you at the Performing Arts Center. Tickets are available online.